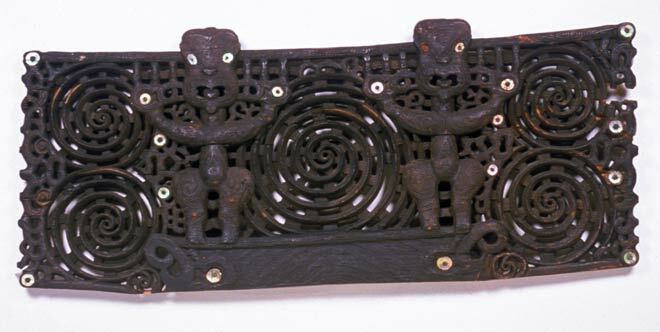 This pare, or door lintel, was carved in the Bay of Plenty in the 1850s and relates the story of Ranginui and Papatūānuku. In the creation tradition, Ranginui (the sky father) and Papatūānuku (the earth mother) were locked in an embrace, and were later separated by their children, creating the heavens and the earth. The spirals show light coming into the world.